Matthew "SickEV" Sanes with three tips for maximizing success during a tournament's first levels. Avoid the craziness and cultivate your image during a tourney's early levels, advises Matthew Sanes. Summer tournament season is in full swing. Have you ever wondered how certain players are able consistently to make deep runs? Each of their games have nuanced differences, but I bet if you lined up 100 of the top tournament grinders in your area and asked several of them at random to break down their early stage strategy, a pattern would emerge. Generally speaking, they avoid jumping into the pandemonium known as Levels 1-4 unless they have a darn good reason to do so. In this article, I am going to discuss three adjustments for early stage tournament play that will help support this winning style of tournament poker. When you sit down at a table, you are an unknown. This means you have a blank canvas on which to paint your game image however you see fit. Humans have such short attention spans and are quick to make hasty generalizations. This is a function of our brains' continuous pursuit to find neural processing shortcuts in an effort to run as efficiently as possible. As a result, most of your opponents establish a somewhat concrete view of your game within the first 20-30 minutes of playing with you. 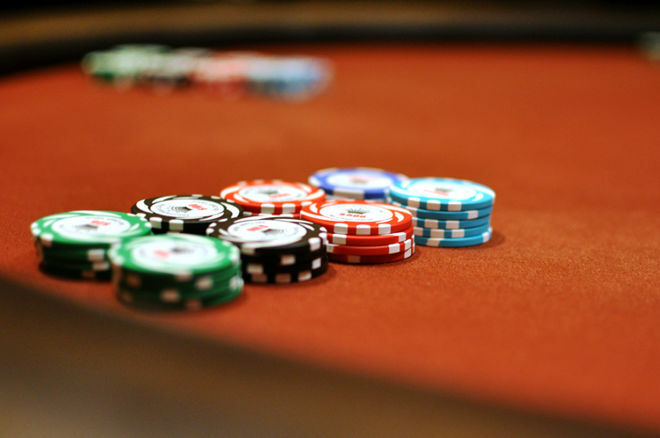 Some are adept enough to pick up on very specific things like how you play your semi-bluffs or if you have a tendency to overplay one-pair type hands. Others just try to take note how often you participate in pots. By playing only a premium range of hands in the early stages, you paint a portrait of your game that is heavy in the colors of tightness, discipline, and straightforward play. Once established, you can start tapping into that image during the middle stages where it's game theoretically justified to open your range and capitalize on non-card dependent spots. In other words, you'll get away with more steals, squeeze plays, and continuation bets at a time where it's immensely profitable to execute them. Remember the stories your parents told you about how the price of gas was under a dollar a gallon when they were kids? Why are prices so much higher today? The answer is inflation. Over the last 100 years the U.S. dollar has experienced an average 3% inflation rate per year. For example, an item that cost $1 in 2000 costs about $1.40 today. In other words, the dollar has lost almost 30% of its purchasing power over the last 16 years. Just like with real money, tournament poker chips experience inflation (loss of value). Every time the blinds go up, chip inflation occurs. This makes playing non-nutted hands challenging in earlier stages, because the value we receive when taking down a pot is lower in Level 1 of a tournament than it is in Level 7. Even with an understanding of how our chips will be devalued by inflation, this doesn't mean that we shouldn't try to get more of them. It just means that taking excessive risks in the early stages to obtain them isn't nearly as profitable as attacking pots in later stages. The later the stage, the lower the chip inflation. The later the stage, the bigger the blinds and antes. This translates into more meaningful value with lower risk. Sounds like a winning recipe to me. For the reasons I mentioned in #2, you should be highly discriminating about the hands you decide to get involved with in early stages. Aside from image considerations, the more hands you play, the more risk you incur when there is an imbalance with the reward. Each hand is like an investing in stock. When purchasing shares, most investors look at a large assortment of options and only choose the top candidates based on their profit potential and risk. That's the same way you should approach hand selection in the earlier stages. Evaluate the spot as if it were an investment decision and you can never go wrong. Let's look at a sample hand. You're in Level 1 with 25/50 blinds. Both you and your opponents have the same 10,000 chip starting stacks. You open your pocket aces from middle position and get two callers who have position on you. The flop comes . You bet, the hijack folds, and the button raises to 3,000. What's the correct decision? We usually have the best hand at this point; however, does that mean we should call and put ourselves in a precarious position where we may be temped to call off on the turn? Is the value of doubling up at this stage worth risking your tournament life? Generally speaking, no. You have a relatively small amount of your stack committed. Even with a double-up, at this point the chips you would receive have significant inflation exposure. To be clear, I'm not saying we don't want the chips in our stack — I'm simply comparing the risk to obtain them versus the adjusted reward. A question some players ask is "If I fold, won't I look weak in front of the other players at the table?" The answer is probably not. Most players will understand why you would fold facing such a large raise in a multi-way pot. If it were a min-raise, that would be a different story. Even if your image takes a hit, this isn't necessarily a disaster as long as you have an awareness and you try to exploit your opponents with it. Remember, if players think your weak, that means they are more likely to bluff you postflop. Exploitively, you can call their raises and allow them to continue betting into you to maximize value when you have strong hands. Alternatively, you could call with weaker hands and look to bluff them on later streets. Hopefully you found this article resourceful. Maintaining focus and awareness on these three principles will help you make great strides towards long term success. Matthew "SickEV" Sanes is a professional poker coach, author, and financial advisor. You can view his articles, podcasts, and videos on Grindordie.poker and Instapokerpro.com. He recently recorded a 1.5 hour online workshop: "The Blueprint for Tournament Success." PokerNews readers will receive 30% off by entering POKERNEWS at checkout.